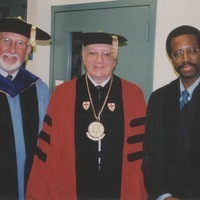 Backstage image of the WestConn president and Dr. Ben Carson at Briarwood College (now Lincoln College of New England, Southington, CT). Stewart, Peggy. 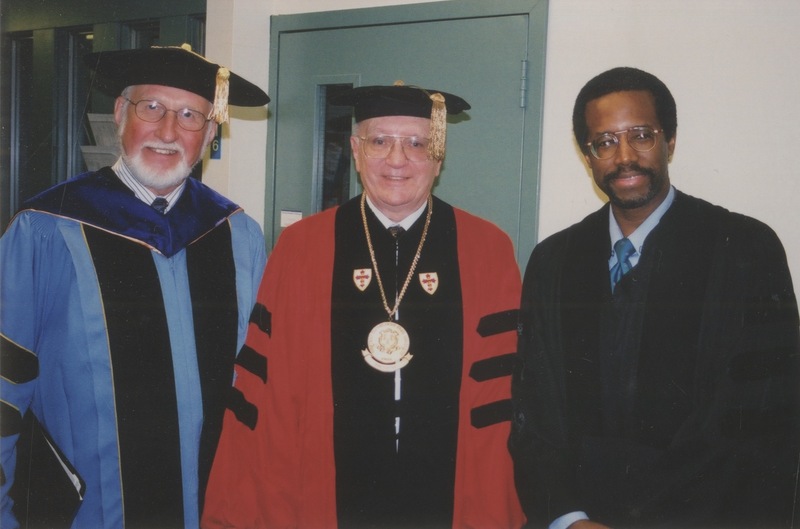 “Ben Carson and James Roach at Briarwood College commencement.” Publications and Design, Office of, WCSU, RG 7.3.2. WCSU Archives, 17 July 2017. Accessed on the Web: 19 Apr. 2019.